Emmanuel Alvarado, Coastal Bend College Spanish instructor, was recently elected to represent the Nuevo León, Mexico Chapter of Partners of the Americas, an international organization that brings people together to build connections. Colleges, universities and other non-profit groups across the country join with each other and institutions in South America to exchange resources and develop programs that are problem-solving solutions for underserved populations or geographic regions. Alvarado is a member of Texas Partners of the Americas, the state chapter of the international organization. “I deal with different things that concern the state of Nuevo Leon,” Alvarado explained. Coastal Bend College, Palo Alto Community College, Alamo Community College and the University of Texas at San Antonio are among the Texas chapter members. Affiliation with PFA will give CBC students chances to interact with different cultures one-to-one, practice skill sets and host students from South American countries. Partners of the Americas was founded in the early 1960s by Dr. Jim Boren, then director of the U.S. Agency for International Development mission in Lima, Peru. Chapters exist in all 50 states and our nation’s capitol. There is a Peru Chapter and six in México: Coahuila, Guanajuato, Guerrero, Nuevo León, Tamaulipas and Veracruz. The organization has projects in many South American countries including Chile and Costa Rica. One project comes out of UTSA Civil Engineering Department. A group of students, led by UTSA faculty, built several clean water systems in Peruvian villages to replace water wells. “People would get sick from the water when the region flooded,” Alvarado explained. Groups of engineering students have returned to the region every year. Other projects range in size and include textbooks, art, women’s issues and health issues. Alvarado will work with several PFA chapters to expand opportunities for CBC students. He is planning a 2011 trip to Puerto Rico and developing a study abroad program that will bring Latin American students to Coastal Bend College. CBC will introduce a Mexican-American Studies concentration for academic students next fall and Alvarado is part of a team working on creating articulation agreements with area universities for students interested pursing the subject area as part of their major. 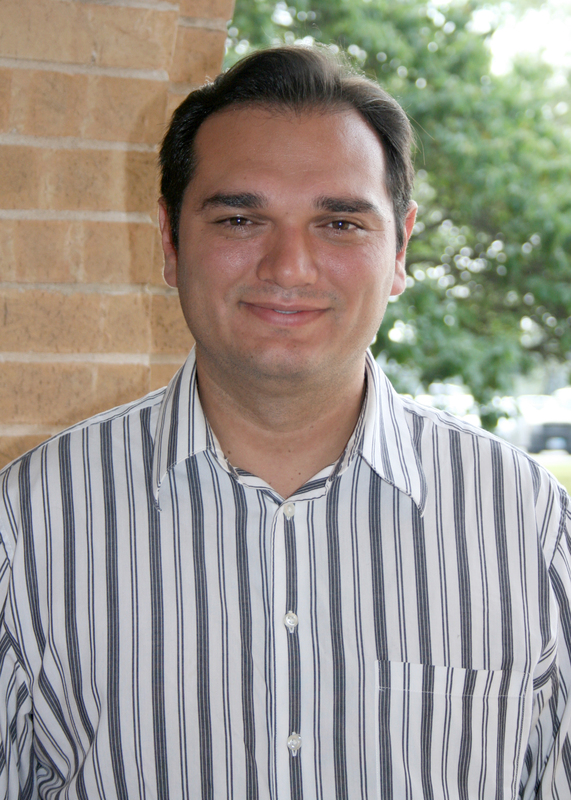 Alvarado is in his first semester as Spanish instructor at Coastal Bend College. He teaches in Alice, Beeville, Kingsville and Pleasanton. He is a graduate of Monterrey (México) Institute of Technology with a Bachelor of Arts Degree in International Relations. From Florida Atlantic University, Alvarado earned a Master of Arts Degree in Spanish and Latin American Cultural Studies and a Ph.D. in Social Linguistics, a study of the social aspects of language and how they are connected to history, politics and society. He lives in Corpus Christi with his wife, Elizabeth Nikolova, and daughter, Anna Maria Alvarado. He can be reached at (361) 592-1615 Ext. 4071 or emmanuel@coastalbend.edu.